For your comfort, you'll find our clinic both relaxing and cozy. Conveniently located in South Tampa, our cottage-style building features off-street parking and a private entrance. Greeting everyone is our office manager, Sherie, who handles each of our clients with care. A respect for your time is a unique characteristic of our clinic. Appointment slots are never double-booked, and most clients will spend little, if any, time in our waiting room. Next-day appointments are normally available. 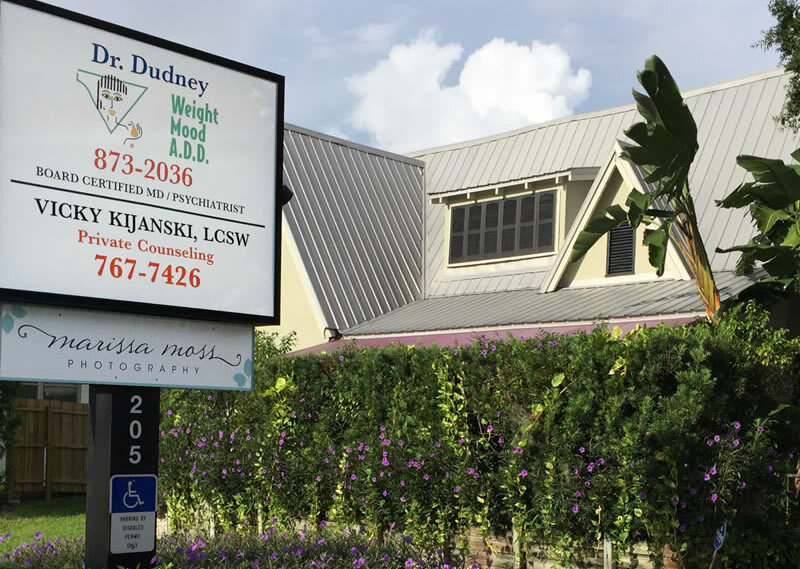 You can expect to meet personally with Dr. Dudney during each visit, who personalizes a treatment plan based on your unique needs. Your first visit to our office should result in a mutual decision on which medications will make you feel better right away. Return visits will be recommended when medically necessary, and your time and budget will be taken into consideration when scheduling returns. Our office hours are Mondays through Thursdays from 7:00 AM until 12:30 PM, and on occasional Fridays. Appointments can be conveniently scheduled online, in-person, or by phone or email. A $50 deposit is required to schedule.